Alex J. Cavanaugh: Blogfests and Awards! And look - there are 100 signed up!! Now I am happy! Wow, you're already past 100, no telling by Monday. Looking forward to both blogfest. Congratulations on the award. 100 participants is amazing. I like what makes you happy though I'm still envious about the iPad. Gotta get me one of them. Not sure if I can do the one on Feb 6th as I am going away on the 10th to Nashville and will be preparing for my trip, but who knows if I plan in advance??????? Still wish I had an Ipad. I'm said cause apparently I'm not a "cool blogger." 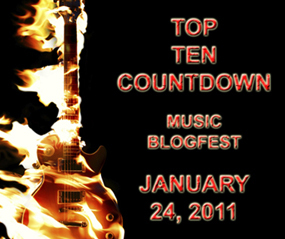 Thanks mason and the blogfest will be a blast! Susan, you need an iPad. Mshatch, it was tough for me to choose. Glad you signed up for the quotes fest. Amity, I wish I could send you one! And your kind comment of appreciation just made me feel good. Karen, the sci-fi/horror fest isn't for everyone. You're still cool! Congrats, Alex! Have a good weekend! I am all set for Monday, Alex. It's my very first blogfest and I couldn't think of a better topic. Now, that's not to say I haven't gone in and changed my choices a few times since composing the draft, because this is definitely not an easy list to generate. Looking forward to what everyone comes up with. The horror/sf movie quotes, I could certainly do. Have a happy weekend, Alex! Kate Beckinsale doesn't make you happy?? I shall tell her immediately. I'm doing your blogfest Sunday afternoon :) And it will be a bit different as expected from my royal Naughtiness! 100 for the Top 10! Excellent! Congrats on the well deserved award Alex! And thanks for the heads up on the quote blogfest. My brother and I are planning to jon in the fun! You're a blogfest phenomenon, Alex! Yahoo---you even passed 100! I'm in the "blog office" getting my post ready for Monday, snatching the linky code, and saying hi. I've already adjusted my top 10 favorite songs at least 10 times. It is soooo hard! Congrats on your 100!!! And award! Congrats on your award, Alex, and 100 participants! I can't wait. I've already prepared my list. Paul, don't worry, I struggled as well. And thanks for making this your first fest. Think you'll enjoy it. Charles, that one's a no-brainer for me. Dezz, you're never one to conform! Lee, the fest has 100!! Nicki, looking forward to it. Pat, I know - tell me about it! Cool Jamie - and the quote one will be fun. Saumya - they just keep coming! And thanks - my wife's really awesome. RaShelle, you've watched Ren & Stimpy a few too many times! Thanks everyone and Monday will rock! Aw, I love your list of happy! And, ta da! You have over 100 participants now! Woot! 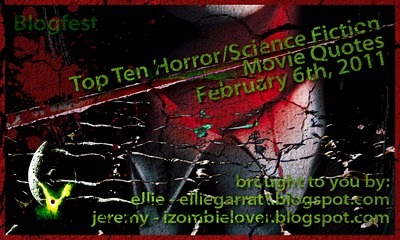 Congrats on that Happy Award, and that's fabulous news about 100 signing up for the blogfest. Sounds like there's a real buzz around it! I am all set to go. My post is ready to go. Damn that was tough. PTM - tell me about it! congrats on yet another award! Awesome on the 100+ participants! I guess I'll be busy tomorrow evening visiting all those blogs! Got my post all queued up. Looking forward to seeing everyone's entries. Oh and congrats on the award! So many blogfests! It's great. I've posted my top 10 music early since it's monday here already. Liz, it will be a busy day! Lynda, I'll go take a peak then! Hey Alex, next month do you want to do the 10 ten Duets? Congratulations on the award and fantastic news that there are over a 100 taking part in the blogfest! Thank you for giving our blogfest a mention! I think your music blogfest is a great idea. I'm not signing up even though I'm also a musician. I couldn't choose. My theme song is always changing. Have a blast and a half!!! Thanks for this awesome Blogfest! Great songs listed by the way. Hi Alex .. this has obviously caught a fire .. being practically non-musical I passed the opportunity by .. but you certainly didn't need any help getting to 100+ amazing. I was thinking someone very musical could put together a play list from these? A really good compilation for an ipod? Jessica, that's why he STUFFS! Hilary, you should see what's on my iTouch! It's full.